Traveling across the states is made easier with an elegant travel trailer or fifth wheel. Instead of stopping at hotels, travelers can go wherever they want to go, spending the night in locations that offer amazing views of the outdoors. If you’re ready to travel and you want an RV that has everything you need, don’t miss the chance to check out the Palomino fifth wheels and travel trailers. Easy to tow and designed to impress, these Palomino RVs have what you’re looking for. Created in 1968, Palomino was started as a way to create better RVs. The main goal was to design RVs that were better quality than the ones currently available and that had a better design that travelers would love. The designs created were lightweight to make them easier to travel with and included convenient floorplans with plenty of storage space. Palomino RV travel trailers and fifth wheels were intended to be more affordable than the current options and by 1973, they were for sale. 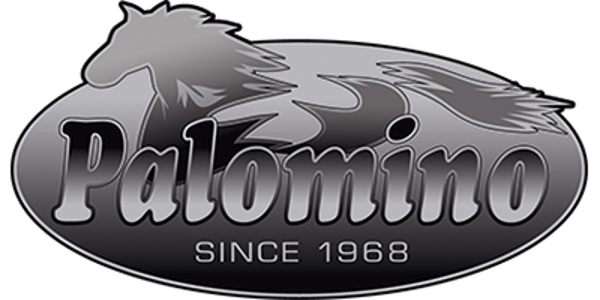 In 2002, Forest River purchased the Palomino brand. This offered the chance for the brand to grow rapidly, with new lines of travel trailers and fifth wheels becoming available. Today, Palomino RVs are known for their functionality, convenient designs, and elegance. They’re an amazing option that people from all over choose when they want an RV that’s perfect for life on the road. Palomino RVs were designed carefully, with every piece meticulously designed to work well together and look fantastic. They function seamlessly and offer a touch of elegance, something every Palomino owner enjoys. They include overengineered construction techniques to ensure they’ll hold up over time, maximum storage space, and top-quality materials. Today, they’re an affordable option that comes with plenty of standard features and amazing options. If you’re looking for a travel trailer or fifth wheel camper so you can really get the most out of your vacations and travel as much as possible, check out Palomino RVs now. They include plenty of standard features that are designed to impress, they offer the storage space you need with a living space you can actually live in comfortably, and there are plenty of options you can choose from to make your travels more comfortable. Take a look at their fifth wheels and travel trailers today to see why you won’t want to miss out on the chance to own a Palomino.